Check out this photo. I know it's not the highest quality. 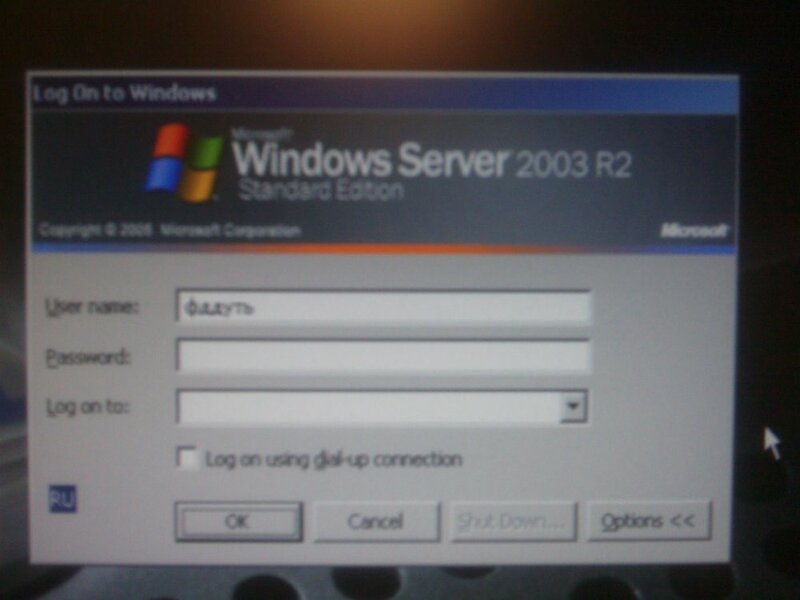 Customer had a hard time logging in to the server - the password was not being accepted. The username that had been filled in was Administrator. Notice the small blue square with the letters RU in the lower left area. Then look at the username field and see what happened when we tried to reenter the username - looks like Russian!